HIL Trainee Recruitment 2019 Notification information is available on this page. Candidates who are eagerly waiting for the latest Jon Openings in HIL (India) Limited organization, they should utilize this great opportunity by applying for HIL Recruitment 2019. The HIL authority is going to fill the 35 Chemical Operators, Analyst, Engineering, Finance, Commercial / Stores, HR, Fitter, Data Entry Operators posts in their organization. For this HIL Trainee Job Vacancies, the application process already started and the application process end date on 15th April 2019. So all the interested and eligible candidates should apply for HIL Trainee Job Openings through online before the end date. Candidates can get complete information about HIL Trainee Recruitment 2019 such as Eligibility Criteria, Selection Process, Salary Details, Application Fee, Age Limit and Application Process from this article. In addition to this at the below of this page, we have given a link to download HIL Recruitment 2019 Notification. The HIL (India) Limited officials published a recruitment notification for 35 Chemical Operators, Analyst, Engineering, Finance, Commercial / Stores, HR, Fitter, Data Entry Operators posts. Candidates can collect full details regarding HIL Recruitment 2019 from this page and apply for HIL Jobs 2019 as soon as possible. It is a wonderful opportunity for the candidates who are looking for the HIL (India) Limited. In the below section, we had provided a few steps about How to Apply for HIL Trainee Recruitment 2019. So all the aspirants should follow those steps and apply for HIL Recruitment 2019 Quickly. Candidates can check post wise vacancy details from this section and apply for HIL Recruitment 2019 without any delay. The HIL (India) Limited officials will hire the applicants based on the Merit List. Candidates can also check the official website to know more information about the selection process. Candidates age limit should be below 40 years. For details age limit and relaxation, aspirants can also view the official notification. 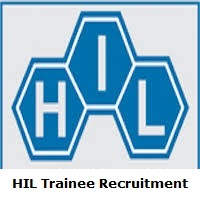 The HIL (India) Limited officials not mentioned Application Fee details in the HIL Trainee Recruitment 2019 Notification. HIL (India) Limited main page will open. Human Resources option is available on the main page and clicks on it. In that Careers option is available. Find the HIL Trainee Recruitment 2019 Notification. After that read all available data on the Notification. If you are eligible, then download the application form. Now fill all important information and cross check all those details. And submit it below given Address before the end date. Through this article, we had provided complete information about HIL Trainee Recruitment 2019. All the job seekers should refer to all those details and apply for Chemical Operators, Analyst, Engineering, Finance, Commercial / Stores, HR, Fitter, Data Entry Operators posts before the end date. Our Sarkari Naukri team working tirelessly to provide the best and genuine information to all the viewers. For more similar information keep visiting this webportal frequently. Thank you.